Residential & Commercial Plumbing-Heating-Air Conditioning-Excavation services. We service and install all plumbing and most heat systems; exception is an oil heat system. A trained technician is on staff 24 hours a day - 7 days a week. 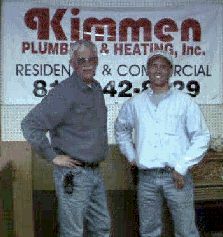 Kimmen Plumbing & Heating, Inc. has registered plumbers and HVAC technicians that work well in conjunction with your gas co, water or sewer authority needs. Charlie is the owner and President of Kimmen Plumbing & Heating, Inc. now while his wife Leann Kimmen is the Treasurer & Secretary of the Corporation with 24 Years under MaryAnn, Chuck & Charlie. Lori Kimmen (Chuck's daughter) is an Executive Assistant to her brother Charlie, joining the team for the second time around in August 2017. 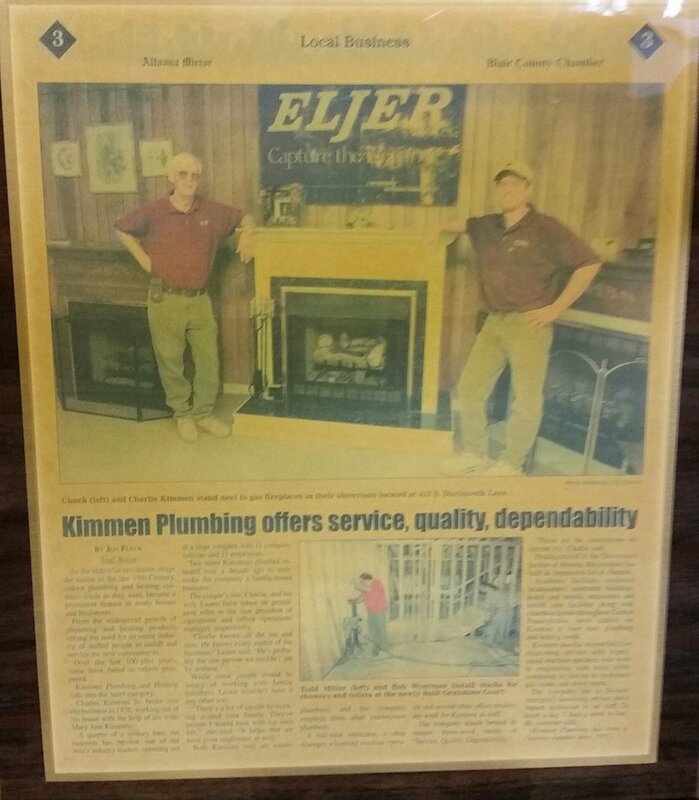 A 1995 article in the Altoona Mirror highlighting Kimmen Plumbing & Heating, Inc.'s many years of quality and reliable work. Copyright 2017 Kimmen Plumbing & Heating, Inc.